Aaaand we’re off – to see if some of my caterpillars are chemically protected. 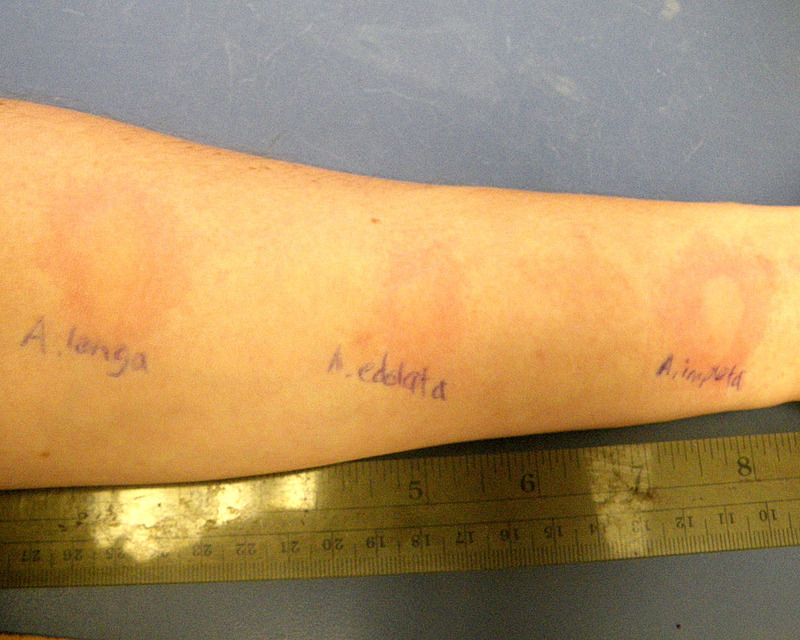 I’m about to go rub some caterpillars on another lab member. 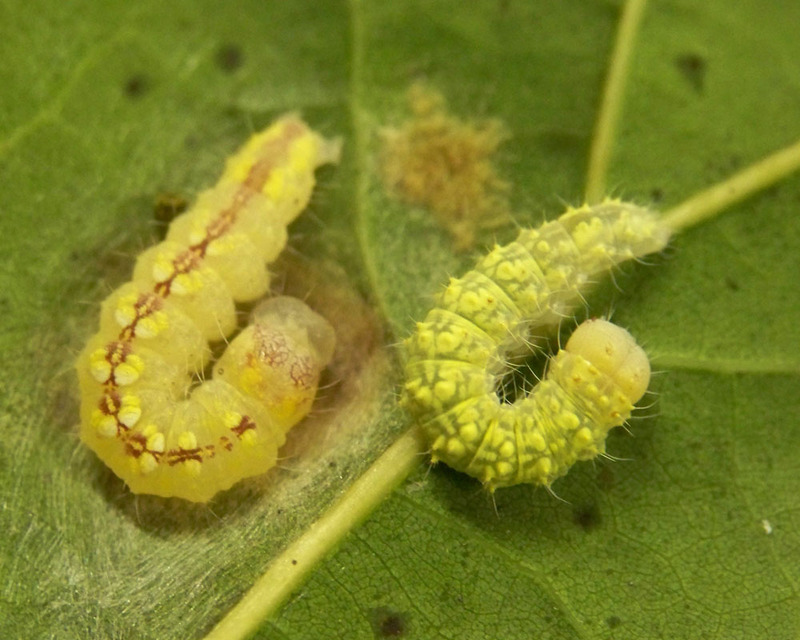 So far I’m intrigued that these three species have all given me the same type of reaction in terms of timing, appearance, and sensation (it burns, and then itches). Other people in the lab have reacted to them as well, but I want to document this in a systematic fashion. It could be an important phylogenetic character. So far we’re pretty sure two of them are in the same clade, and the other we are going to add to our molecular dataset soon. Here I am with some caterpillars (Acronicta impleta)… that I am about to start testing for chemical defenses by rubbing them on my arm. 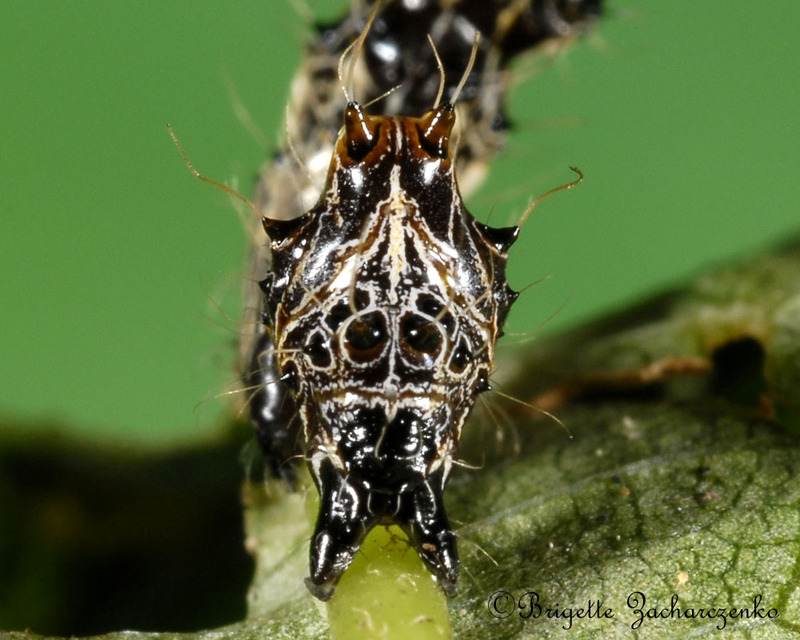 From a few reactions I’ve had, it seems there is one clade within the genus Acronicta which are chemically protected. I am still sporting a rash from a caterpillar I rubbed on my arm a week ago. For science! 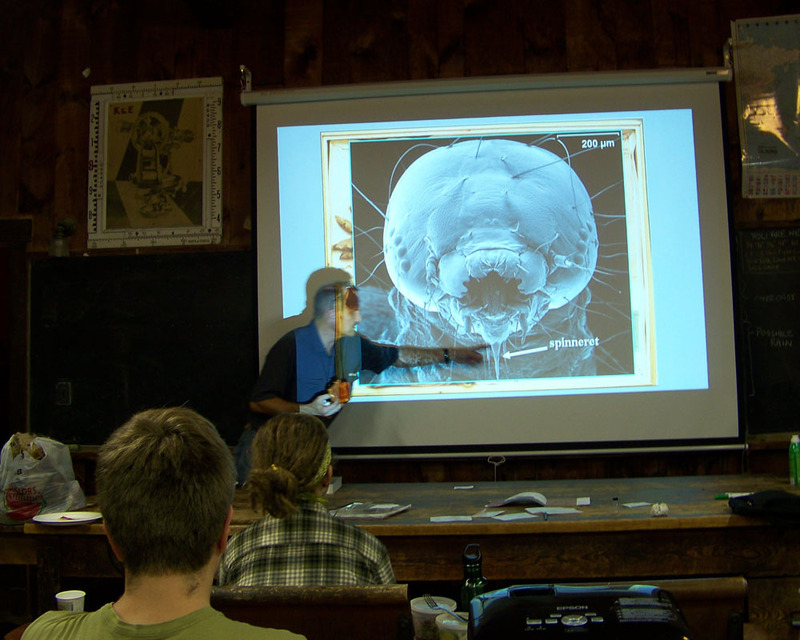 Last weekend we took the general entomology class to the Yale Camp at the Great Mountain Forest in Norfolk, CT. We joined up with the general entomology class from Yale. Dave likes to plan this trip every time he teaches the course. Not only do the students catch a lot of insects, but it allows for good class bonding time, since we encourage a lot of interaction during the lab portion of the course. Even though there was a severe storm Saturday afternoon, we were able to make the most of our time there. 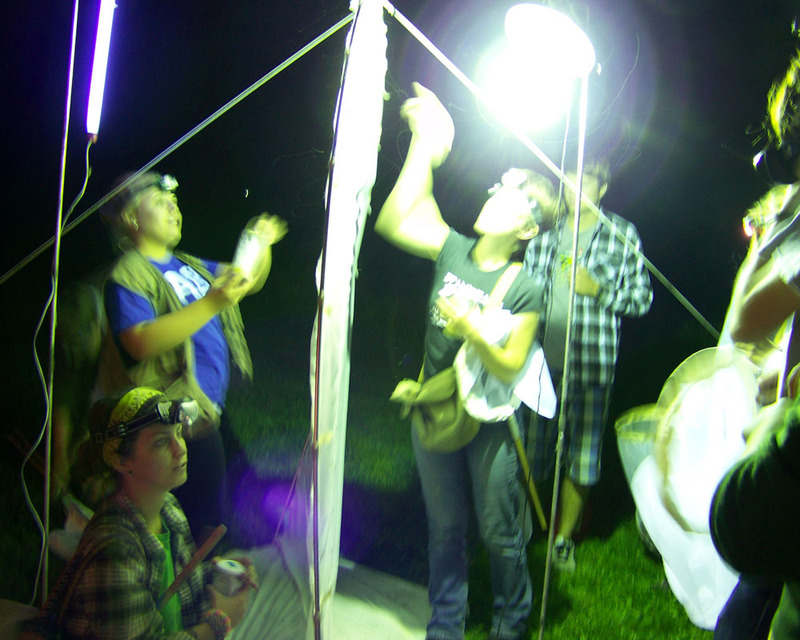 Lots of blacklighting Friday night, a late night caterpillar walk, sorting and pinning specimens, quizzing the students to help them study, lounging by the fireplace, insect charades, and staying up late gossiping. Some people left Saturday night, some left early Sunday, and some of us went for a beautiful morning hike. 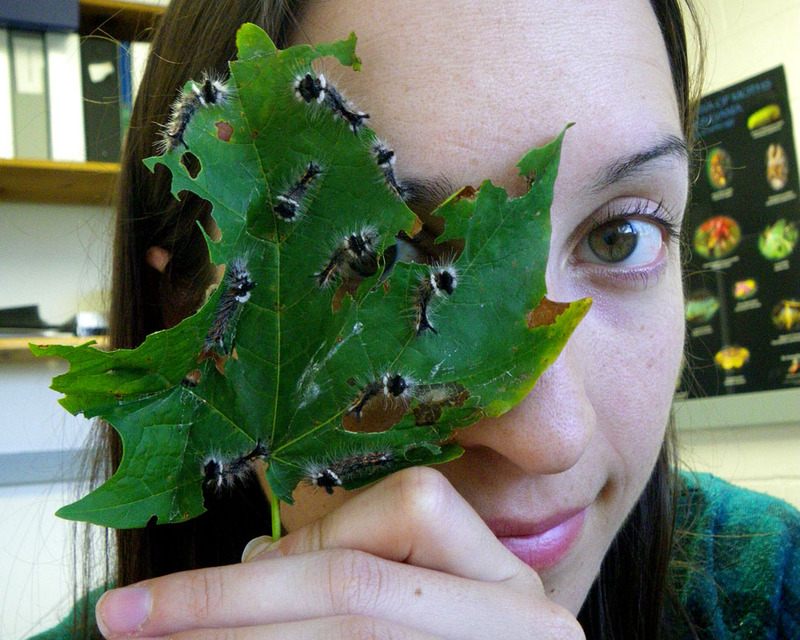 I caught about a dozen Acronicta caterpillars on red and white oak – really important for my research. So I was quite pleased. 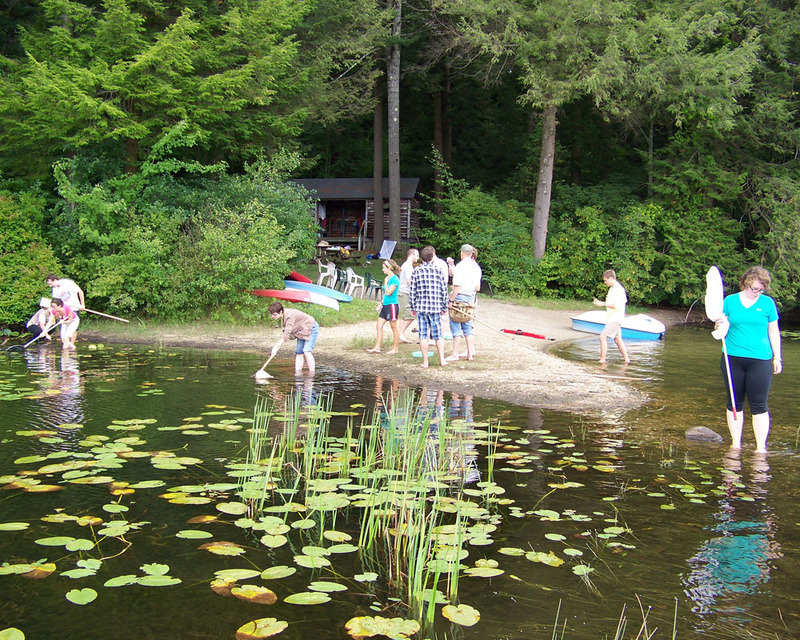 Here are a few pictures from the weekend… check out our class flickr page for more. Dave giving a lecture on caterpillars. At one of the many blacklighting set-ups we had going. Lots of insects, and lots of red efts that came to eat them! 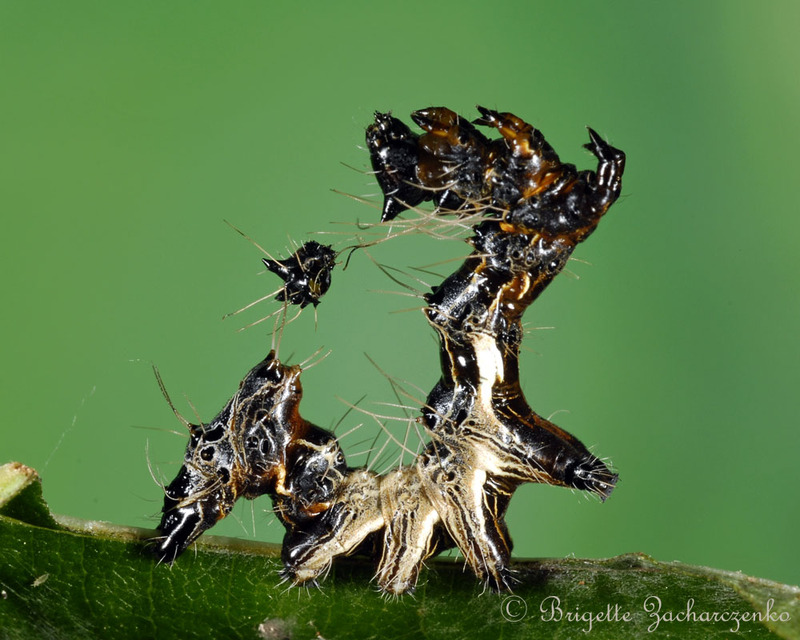 Two of my little Acronicta caterpillars. Aren’t they adorable? 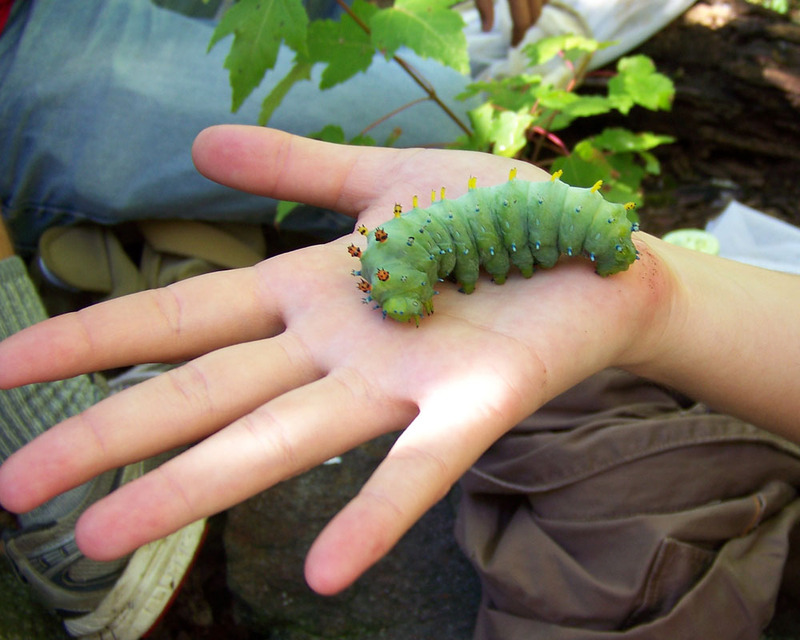 The biggest caterpillar you will ever see in the northeast – Hyalophora cecropia. He spun his cocoon the next day.